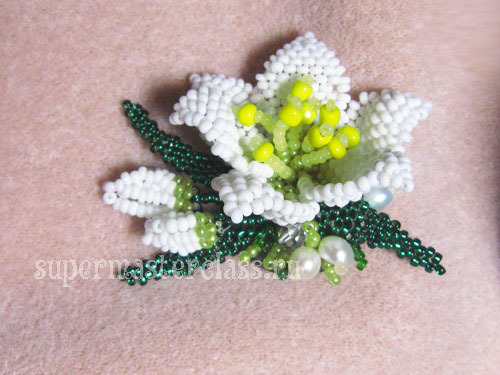 Flowers from beads look very unusual. 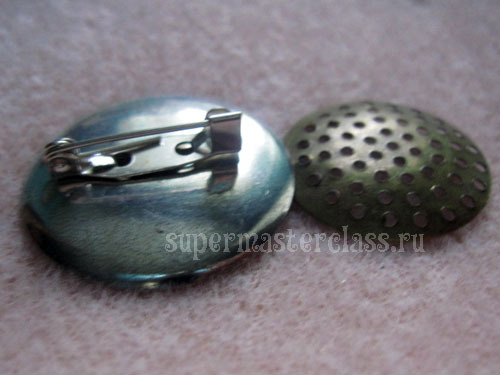 And they are widely used in modern handicrafts: this includes various brooches (as in our case), hairpins, and imitations of potted plants, such as. 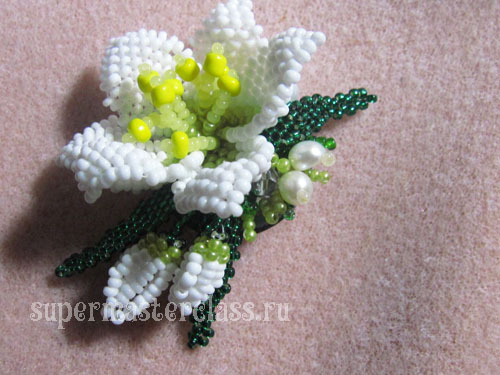 But the most popular in this kind of needlework is, of course, the queen of flowers -. 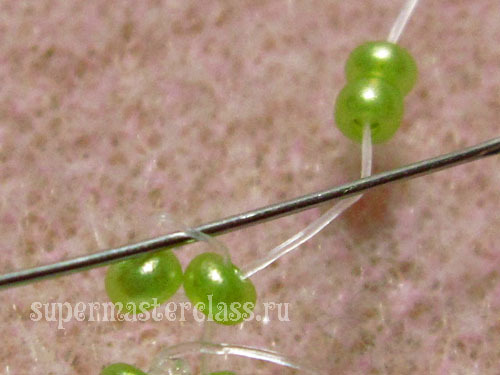 Today we offer you a small master class on how to weave a lily from beads, in step-by-step photos and a detailed description. 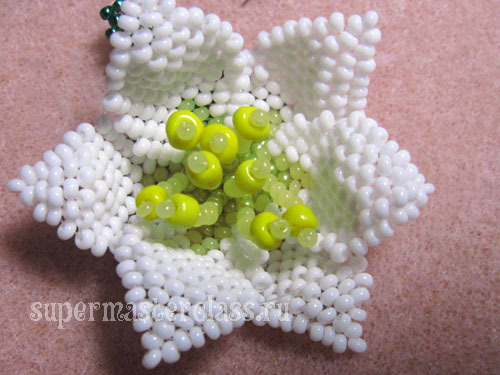 Unlike colors that are not intended for use as an accessory and are woven on a wire, our lily made of beads is made using the technique of brick weaving, is not afraid of deformation and can be used as an element of a necklace, for decorating a bracelet or as a hairpin. 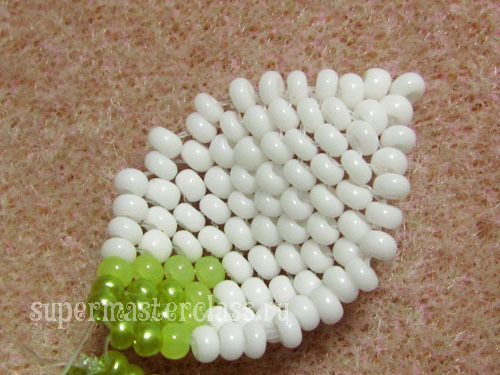 beads of three colors of the same size - two shadesgreen and white; yellow beads larger in size for stamens; strong fishing line for weaving suitable for the size of beads (many use dental or polyester filament instead of fishing line); beading needle; scissors. 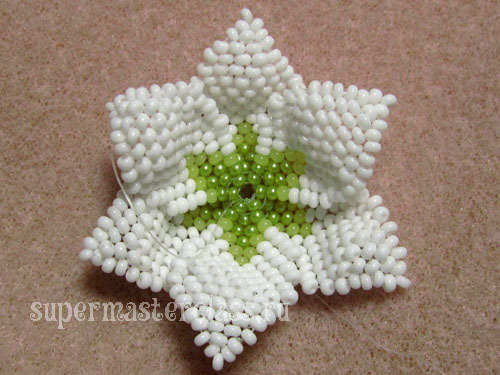 Those who own weaving in brick technology will need a scheme for simply weaving a petal. These petals need 6. 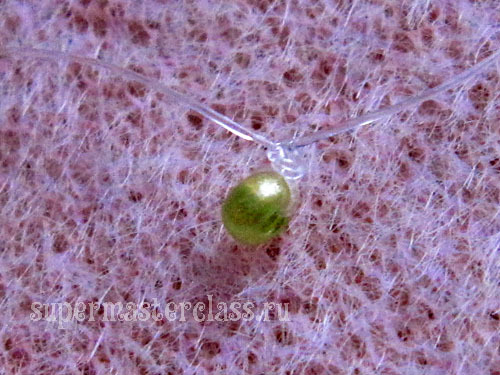 This detailed master-class will teach butterfly weaving from beads Master-class weaving from beads in detail will tell you how to weave the earrings yourself. 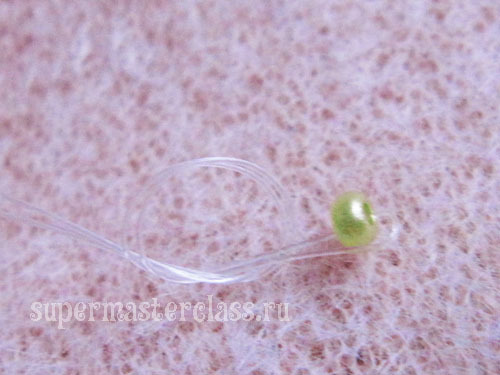 This master class with the scheme will teach how to make earrings from beads with your own hands How to make a beautiful bead for Christmas trees? 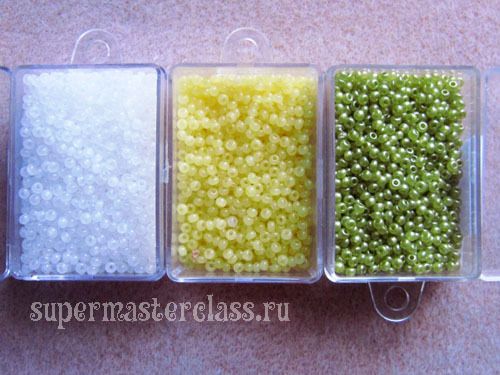 New Year's master class beads The master class from beads describes and shows on the photo the process of creating jewelry from beads with your own hands, we make earrings.